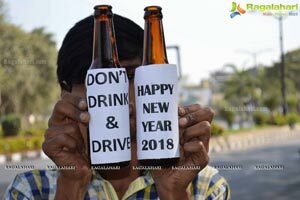 Hyderabad, December 30, 2017......Few ordinary and concerned citizens (aam jantha) of twin cities want to make a little difference in the society they are living in towards the end of the year 2017. 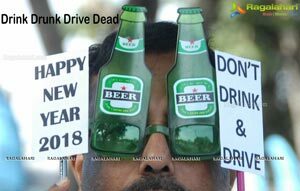 While bidding 2017 and getting ready to welcome 2018, they wanted to spread a message "Don't Drink and Drive." 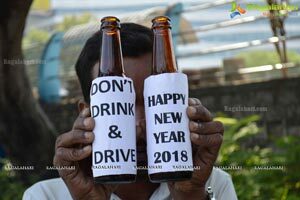 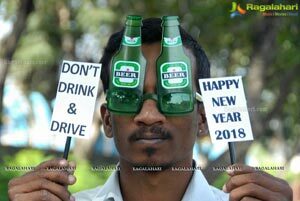 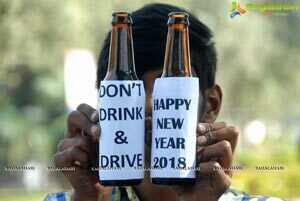 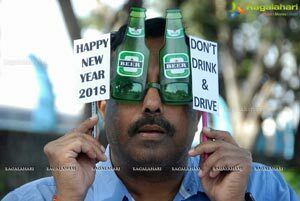 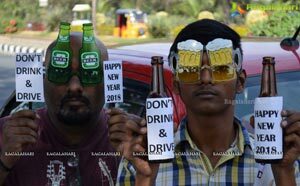 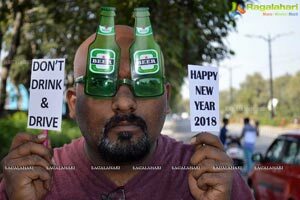 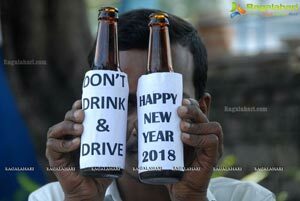 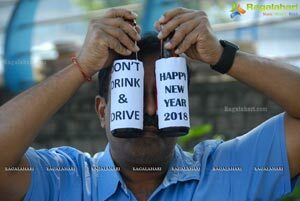 The moment they decided to do something came the "Idea of Props", for which they scouted all the shops in the city for two days and procured relevant props(Beer Bottled Shaped ones as you see in the picture), finalised the message "Don't Drink & Drive" and "Happy New Year 2018", printed the same, made few tiny placards. 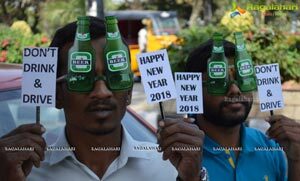 They also procured two empty pints (mini) beer bottles, removed labels, pasted the messages, got themselves photographed. 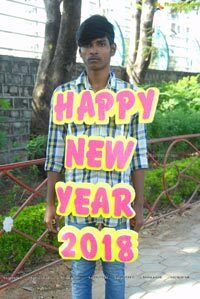 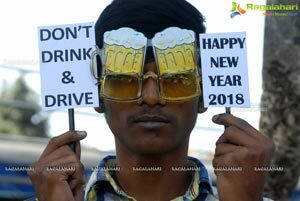 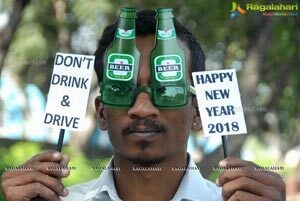 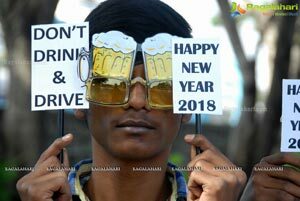 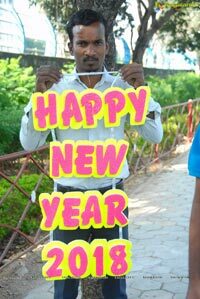 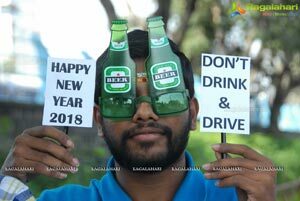 And it is their wish that the messages reach as many people as possible on the eve of the new year because drunken driving has been taking a lot of lives not only those who drunk but their dependent families and the innocent people on the road too.